While I was in Barcelona to work on another project, it happened that my italian production company Mercurio was there too for a shoot for Alfa Romeo cars. 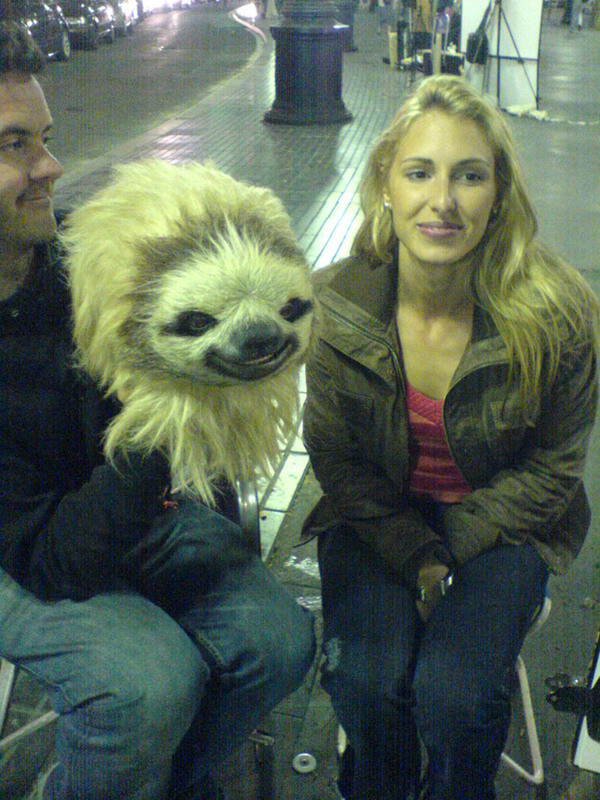 They told me they had this amazing sloth costume and they wanted to make more with it. Their idea was to create a viral for the campaign they were doing, with the sloth being some kind of womanizer, going out about town and wrecking havoc and flirting and doing what sloths do on a typical friday night. 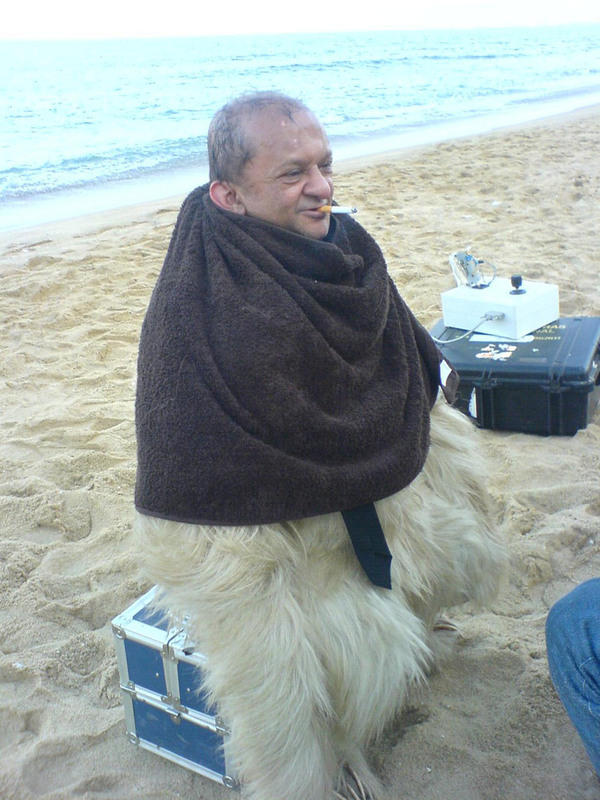 The interesting thing, apart from working with a giant sloth costume, was that I would have the opportunity to work with Kiran Shah, the man who was acting inside the suit; he had been in so many important movies, the last one being the stunt double for Frodo in the Lord of the Rings series. As we didn’t have time to write a script, I would have to come up with ideas for the next scene as we were shooting the previous. Fortunately Kiran and all the crew know their craft and made my life easier by making theirs more complicated. Uhm. Makes sense? 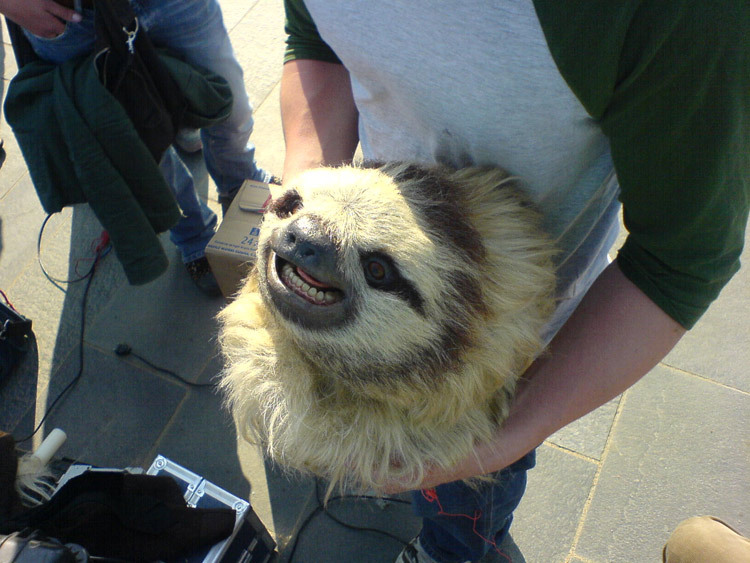 Beheaded sloth. What about making a meme out of this, internet? The back of the costume’s head. As you can see, the inside was pretty much, well, a robot. Putting on the suit was a big ordeal for Kiran, and also for the whole team who built the costume and was in charge of making sure it looked and worked all right. Here’s Kiran during one of his much needed many breaks, probably saying something sharp and racy, just like his personality is. 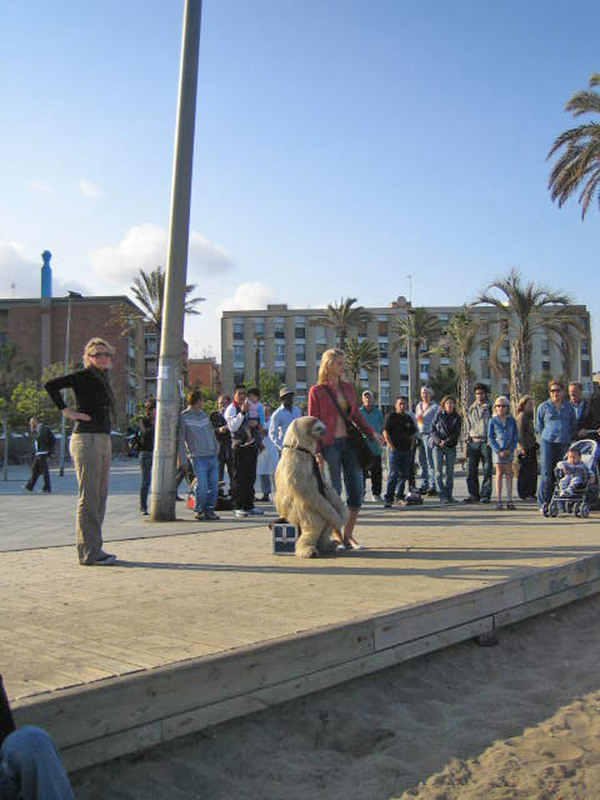 Every time we shot a scene, a massive group of curious onlookers would inevitably stop and look at what we were doing. I really wish someone took a picture of the group of people that formed when we were shooting on the Ramblas, because I think it was more than a hundred. Actually at some point in the film you can see one of our producers yelling and waving at someone off camera because apparently they wanted to walk and get even closer to that rather peculiar beast they had never seen in their life before. 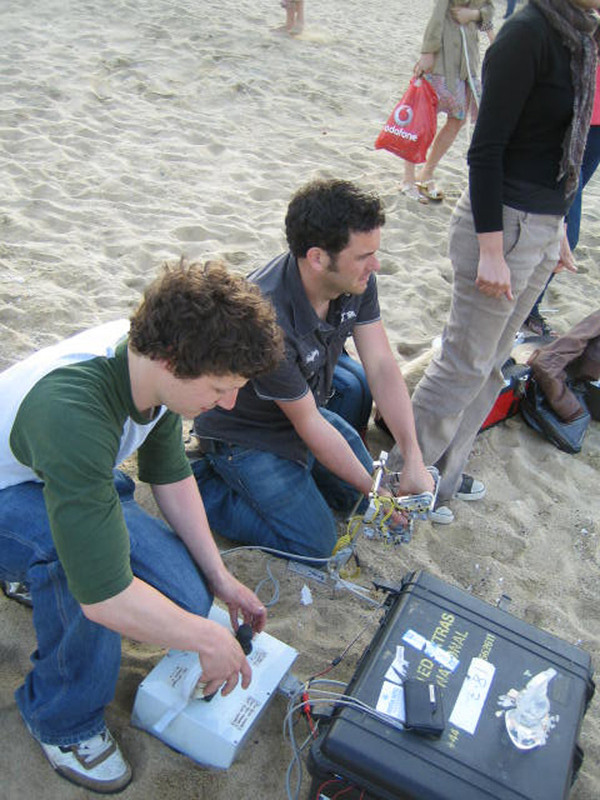 These are the creators of the puppet/animatronic. That whole scary techno machinery was really just a big remote controller that enabled them to control his facial expressions, specifically the eyes and the mouth. When I shouted SMILE! 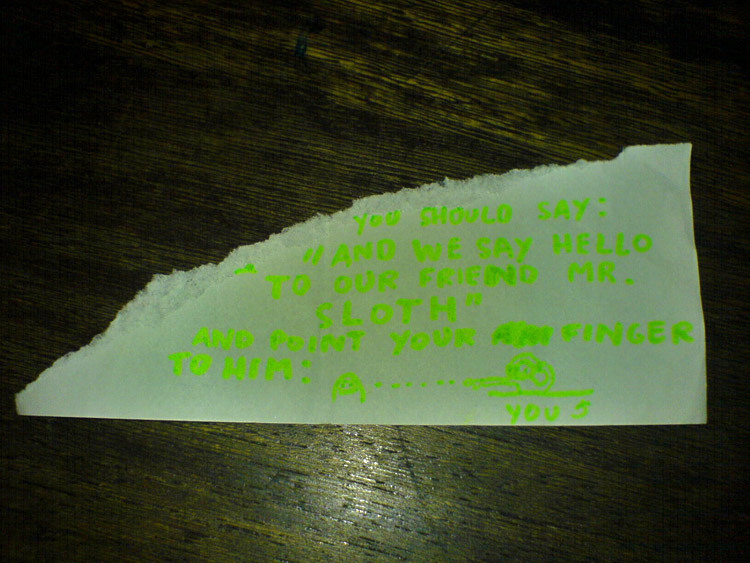 they would make him smile, when I shouted LAUGH! 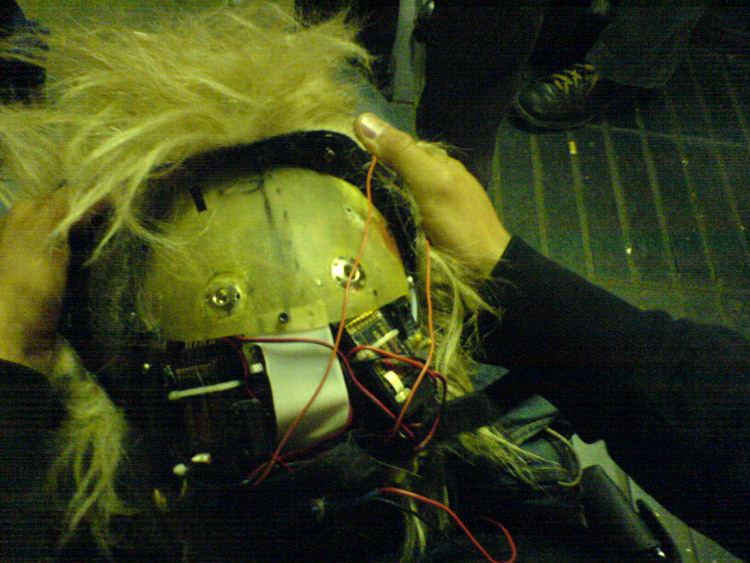 they would send a signal to the computerized mask to open its mouth as wide as possible, and also Kiran would hear my command and he would jerk his head up and down so that it looked the sloth was really laughing. Good times. To pose for a nice face portrait you only need your face, right? For the dancing scene in the disco, I tried to lobby the DJ into saying something for us- I wasn’t still sure I would just use a song for the whole duration of the video. Anyway, the DJ refused to do it, I assume it was because we weren’t paying him.